With a new city head came new staff, but it was almost shocking how quickly everything returned back to normal. She seemed so happy to be working alongside Asagao that she couldn’t stop grinning. On the other hand, Asagao did not look one bit happy at all. Her forehead had gotten more wrinkly as she got more angry. Perhaps they were the source of her sharpness and wit. I guess I was shocked more than I should have been at Urushibara’s ninja skills since I didn’t see Asagao throw both the seal and the stack of papers in my direction. Asagao ushered me out the room. There were just so many things that were thrown on my plate: last year’s contracts, balance sheets, staff quarter applications, Renge’s return paperwork, point distribution sheets, overtime reports, new budget requests, and subpoenas from the Administration Bureau. I quickly stamped through the papers as I wandered around outside, occasionally making changes here and there. Every so often I would also just stare straight up at the sky. The weather was so nice today it lifted my spirits a little. I wondered where Asuha could have gone in such a fine day like today. Going through the different possibilities in my mind, I suddenly found myself walking right up to the shore. Luckily, somehow Asuha was nearby, casually lying down with her cell phone. “Asuha, please do some work…” I said, taking a seat next to her. Asuha looked straight up at me with a serious yet annoyed gaze. Unable to stand the full brunt of her gaze, I gently stroked her hair to block her from looking at me any more. Her hair felt plenty warm in my hand, almost as if each strand was a small piece of sunlight. “Well, I’m gonna go home first, so…” said Asuha as she got up. However, she paused for a moment before lying back down. “I know, right?” She couldn’t help but giggle. This time, she playfully dragged her finger around my face. Things were so peaceful that it felt like time came to a standstill, but I knew all too well that the world around us continued to move on. 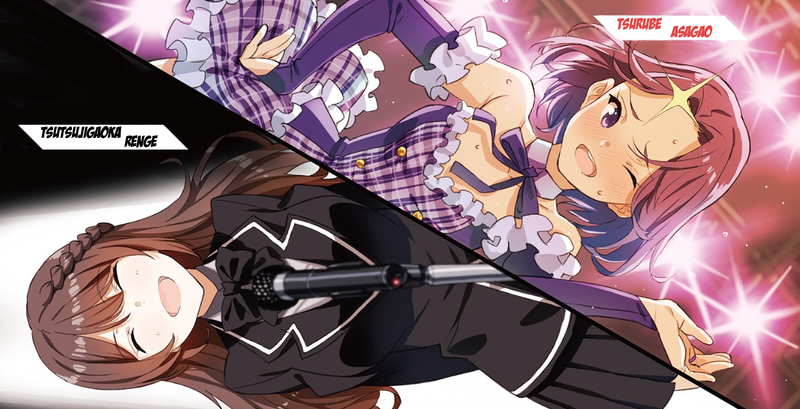 It’s no wonder kasumi was surprised when he saw Aoi come to think of it Aoi reminds me of Renge……? Thank you very much for the update and sorry if I just upload this image. Thank you so much for your hard work! Reading your translation has been a blast! Sorry for the “A” comment I was just testing. Is the series now complete? Is there a possibility of it being continued or did the author end it alongside the other 2 series. There’s always the possibility for a Volume 3 but I have no idea when/if it will come out. I’ll be on the lookout for it! 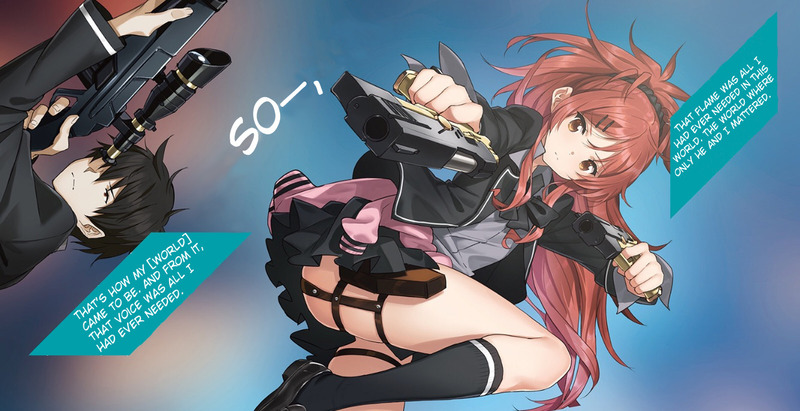 There won’t be a Volume 3, sadly – the volume 2s all lead into the Qualidea Code anime, that ends the saga. Oh wow that’s a shame. And that’s it for Volume 2! What did you all think of it? The classic Watari banter is still there. Though not as angsty compared to Oregairu, maybe this is the parallel world Hachiman after high school. Thanks for the hard work of sharing this with us!